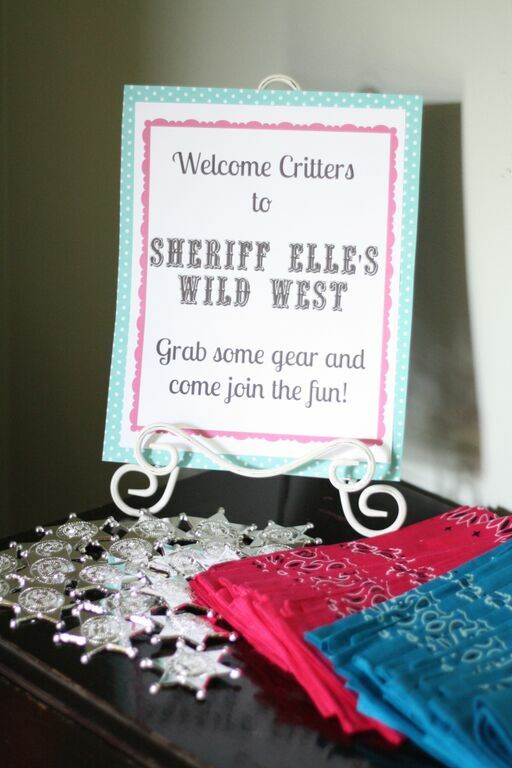 Last weekend we finished out our month of May with one last birthday party for our Ellie! 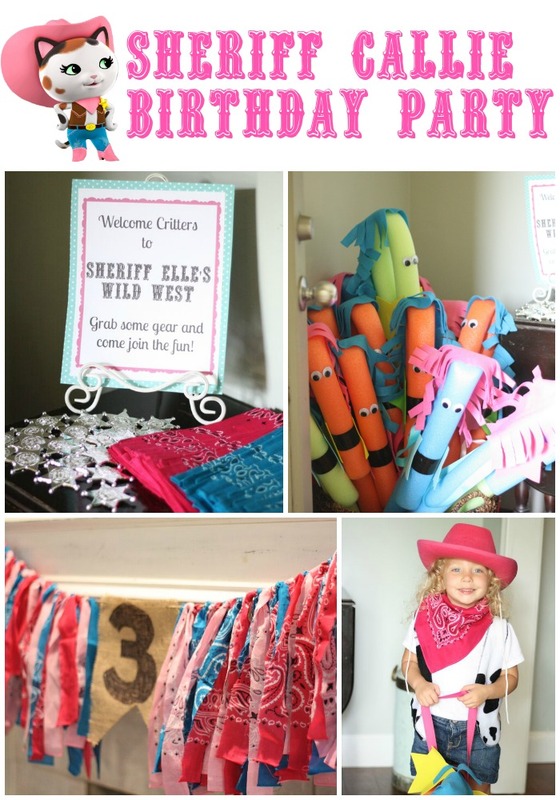 She requested a Sheriff Callie Birthday Party and that is just what she got. 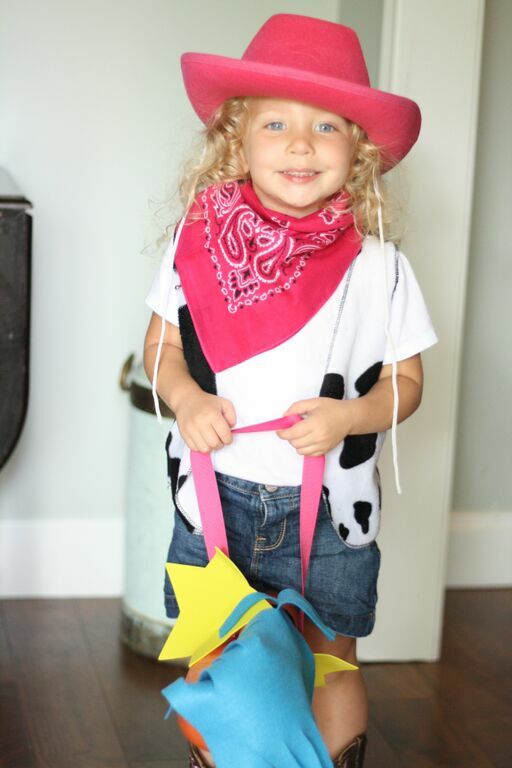 Ellie has been talking about having a Sheriff Callie Pony party for months. 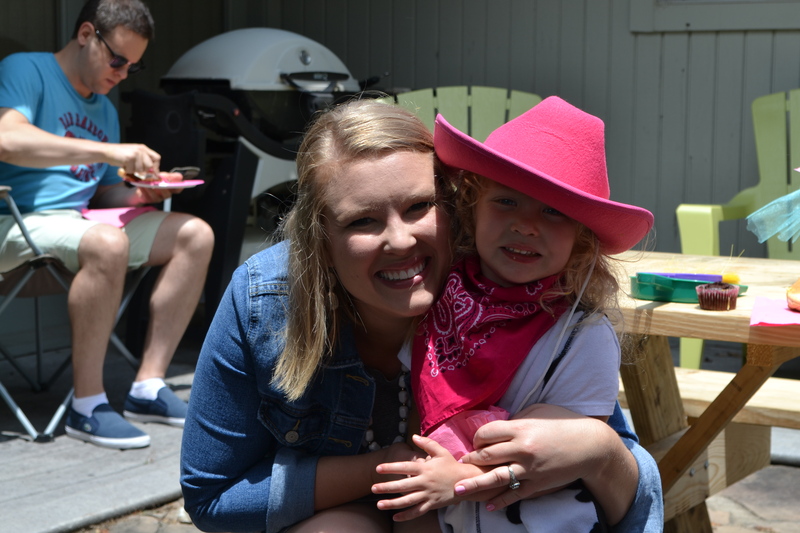 We filled this celebration up with all things cowgirl, barbeque, ponies and friends. 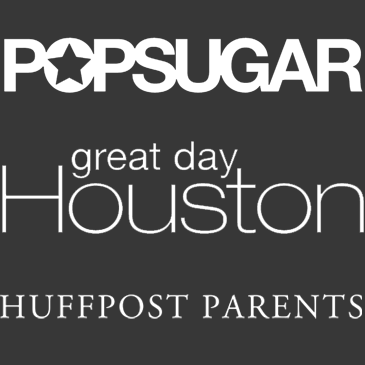 This really was one of our best parties yet! When our friends arrived to the party we had gear ready for them. 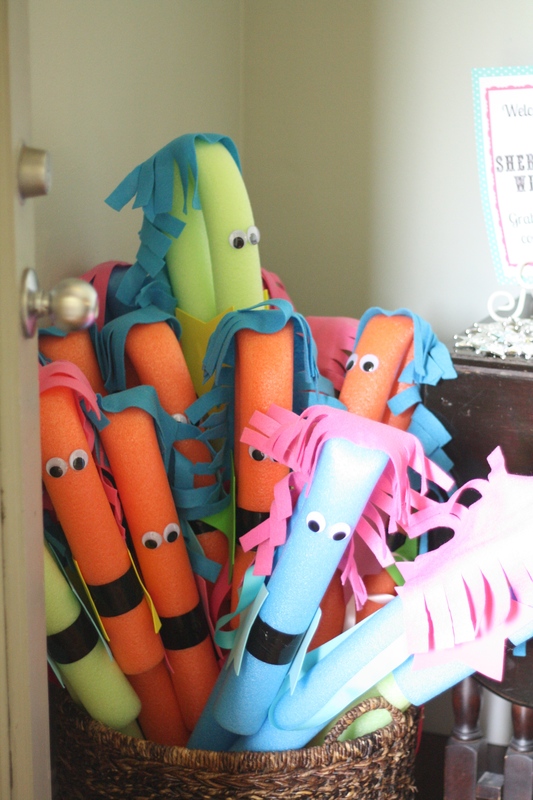 We created pool noodle ponies like these for the kiddos to ride around on. We also had bandana’s and badges for them to wear. 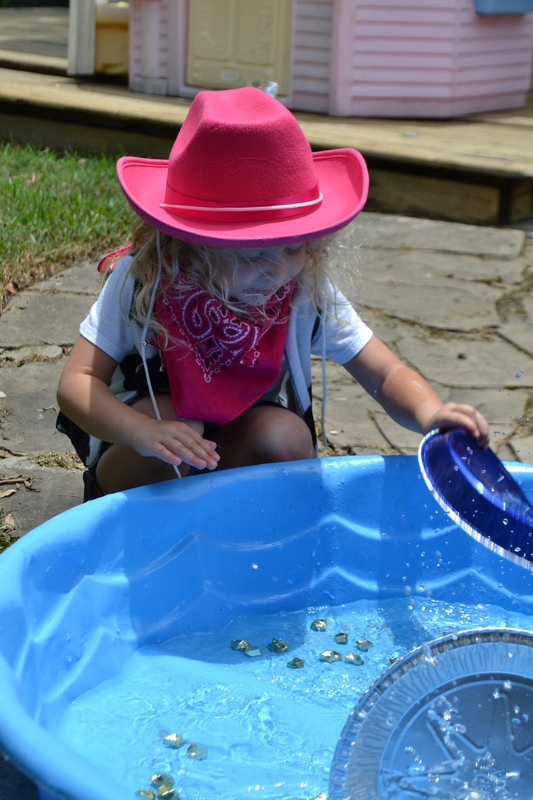 We had tons of yummy Cowgirl approved food at the party like Texas barbeque, hot dogs, beans, veggies and more! I sure wish I would have taken more picture of the cuteness for you but I promise, it was enjoyed by all! 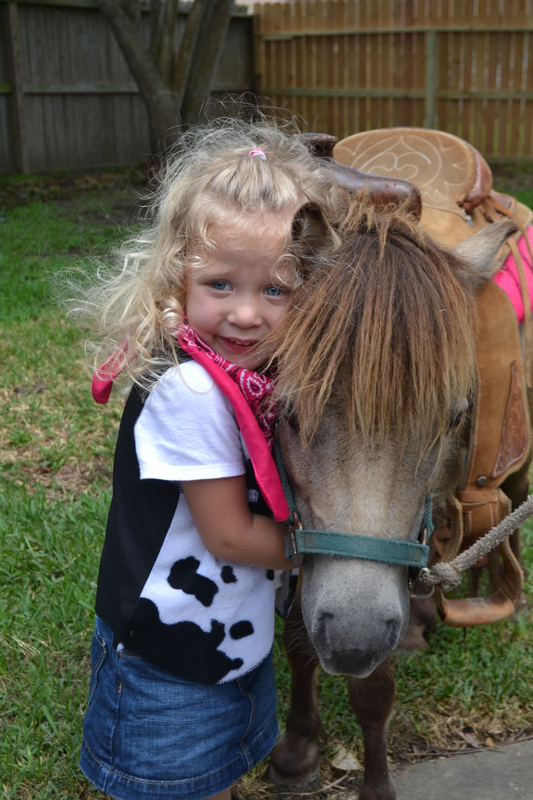 Here’s a peak..
At our pony party we of course had a pony and Ellie was in heaven! Otis “her pony” was at the party for 1 hour and for over half of that time this sweet girl rode and rode and rode some more. 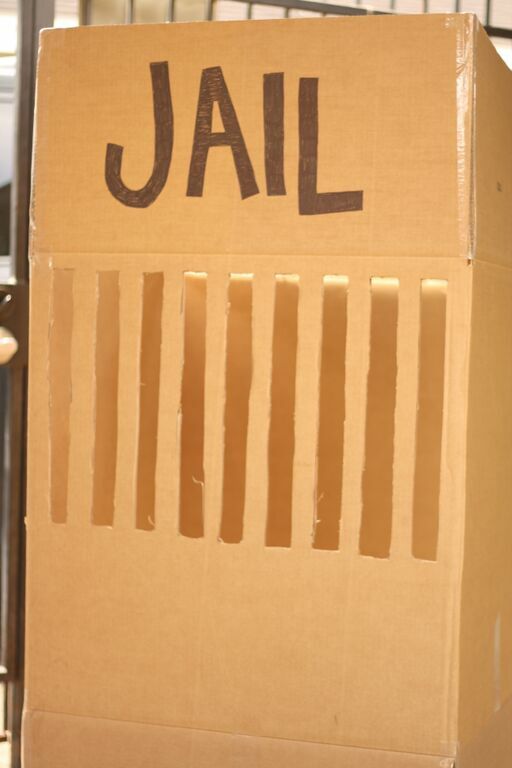 While we were waiting on pony rides we panned for gold and played in our cardboard jail. 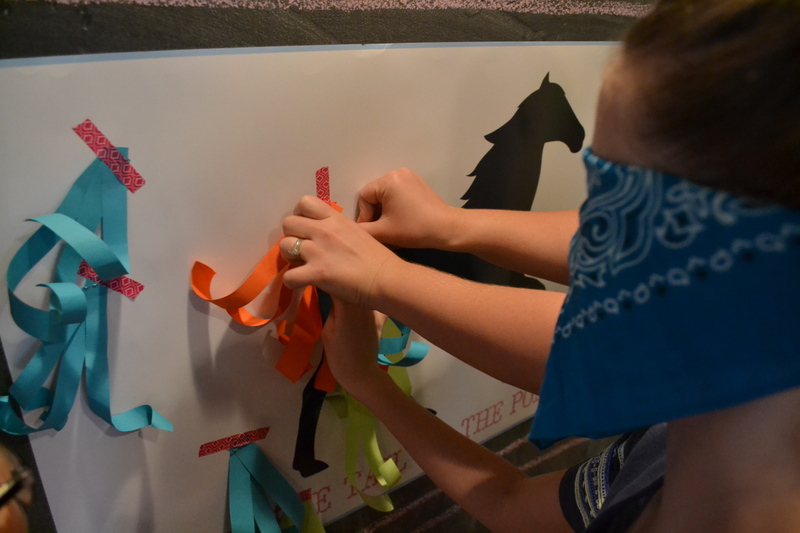 After our pony rides and fun out side we came in for a fun game of Pin the Tail on the Pony. I found this graphic on Etsy and printed it in a large poster print for our game. 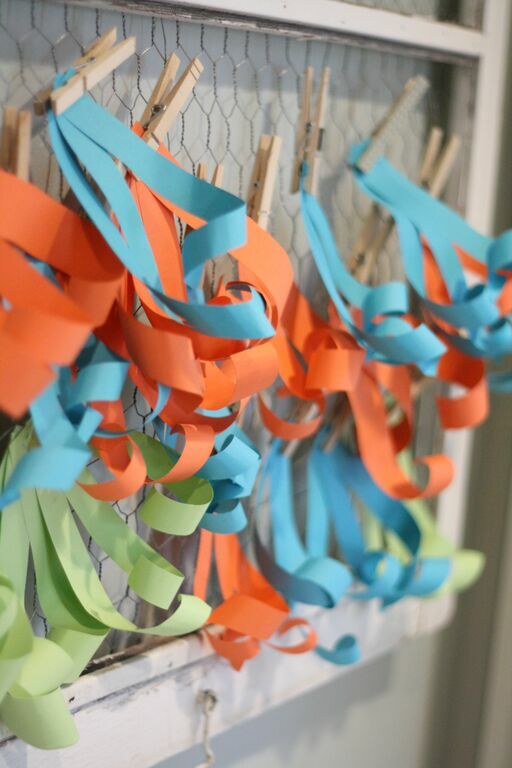 We created curly tails out of construction paper and taped them on with washi tape. 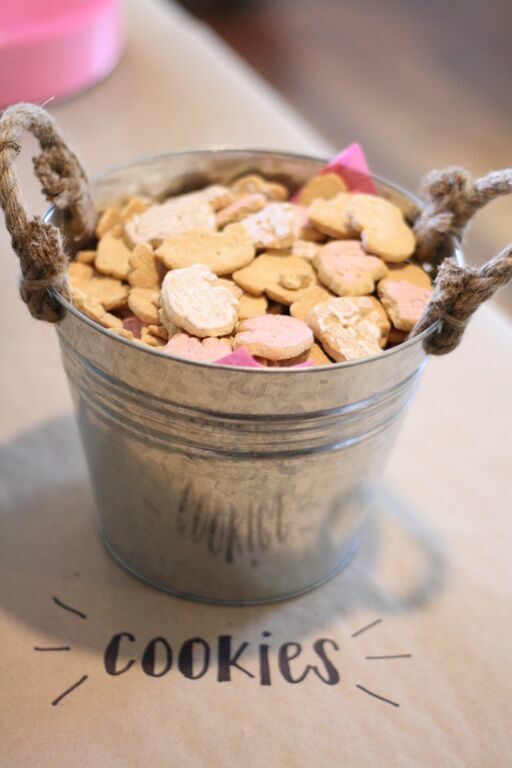 It was super cute and cost effective. The best part was the kids had fun! 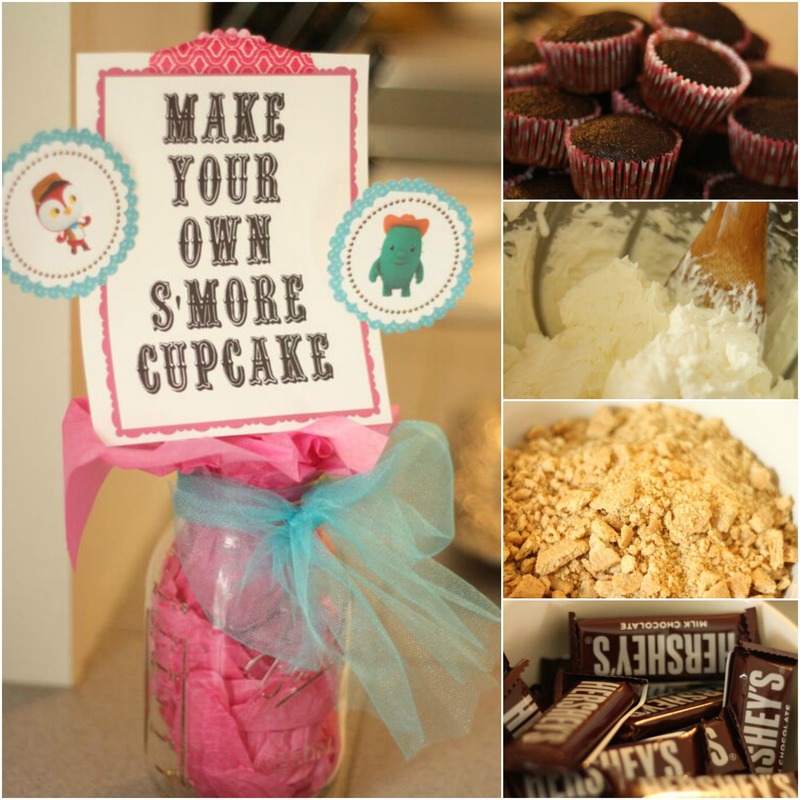 In keeping with the Sheriff Callie theme, we had a create your own s’more cupcake bar and it was a hit! 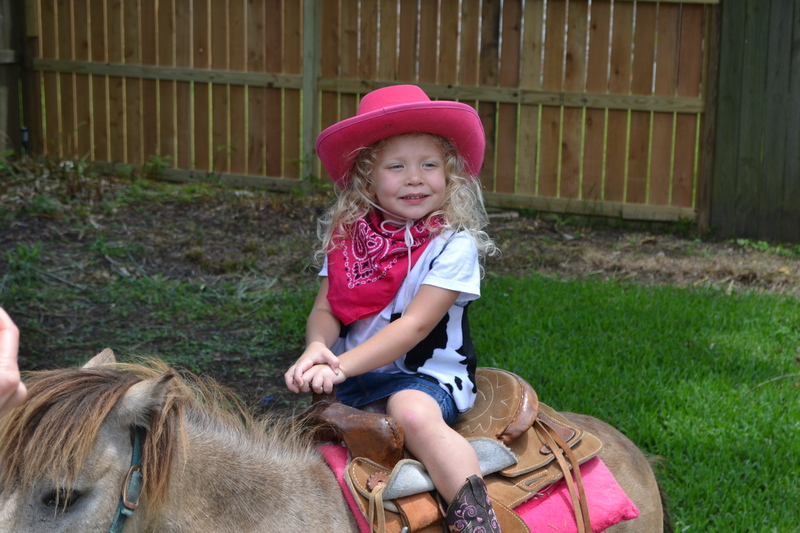 Overall this party was full of Sheriff Callie, cowgirl, bandana, pony awesomeness and the smile that was on Ellie’s face was worth it all! 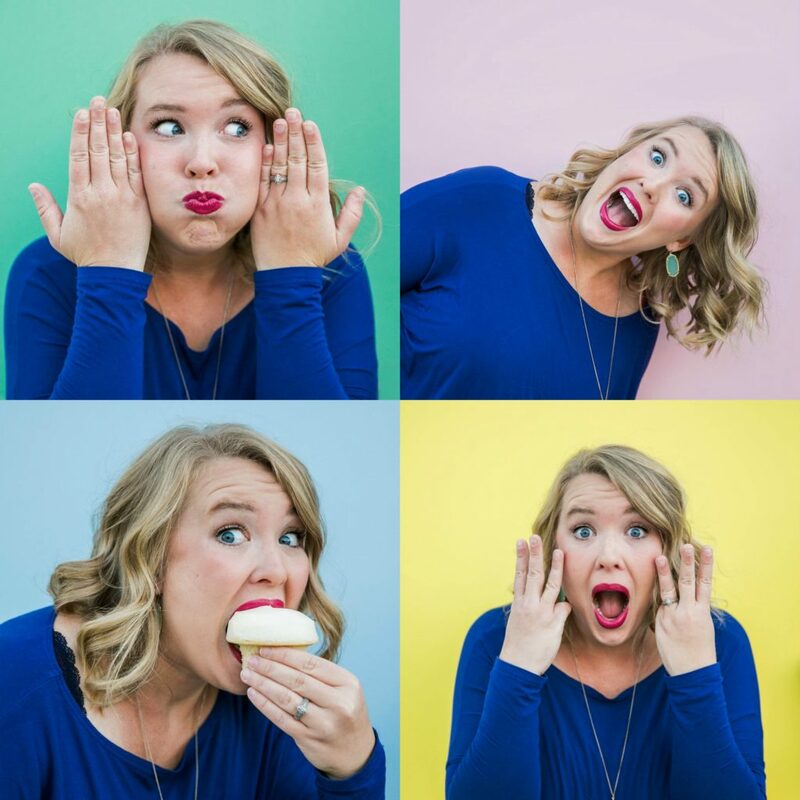 This girl is the perfect completion to our family and is one of a kind. She keeps us laughing, has the most sensitive heart and LOVES with her whole being. Happy 3rd Birthday Ellie! Momma loves you!